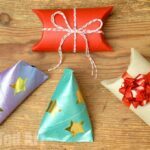 From humble Toilet Paper Roll to adorable Unicorn Gift Box! 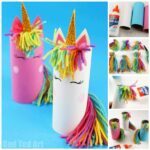 Did you know that you can the humble Toilet Paper Roll, not only into a Toilet Paper Roll Unicorn Craft, but into a Toilet Paper Roll Unicorn PURSE and today into a Toilet Paper Roll Unicorn Gift Box!!!?! Oh yes you can. And they are super cute.. and yes you guessed.. EASY!! 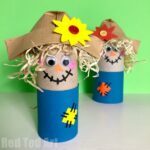 Oh how we love an Easy Toilet Paper Roll Craft for kids!!! These gift boxes are very similar to the Chick Gift Box we made at Easter.. and I think you will love them just as much. 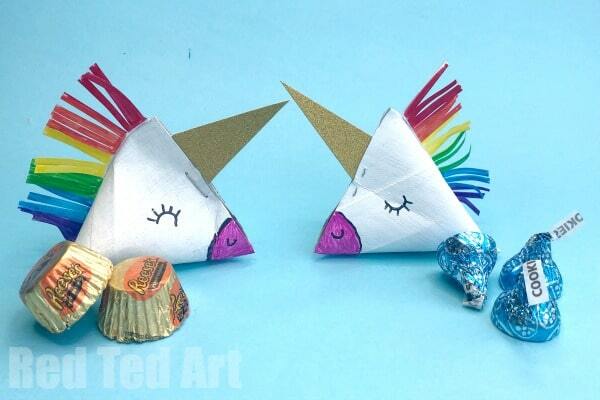 I think they would make great Unicorn Party Favours! 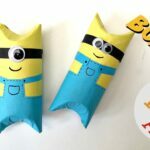 This is a great “Best out of Waste” craft for kids!! 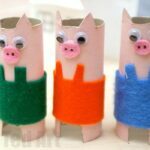 Turning a Toilet Paper Roll into an adorable Unicorn Craft is quick and easy! 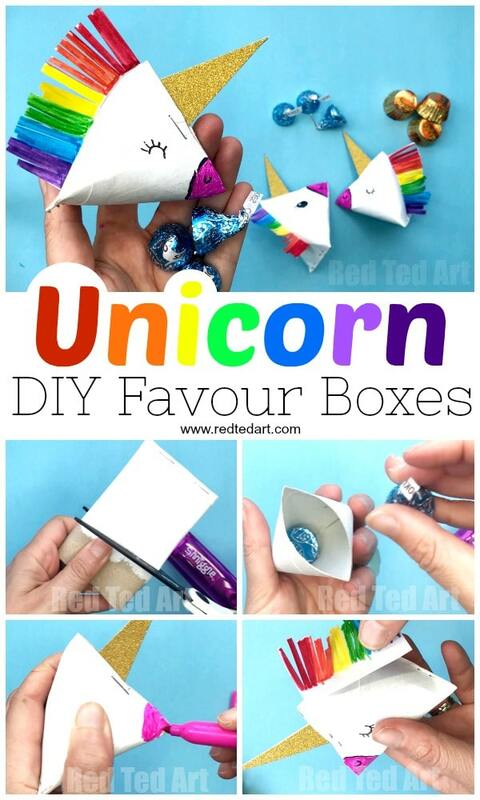 Watch the Unicorn Gift Box Video first or follow the step by step instructions below! 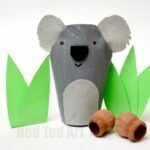 Begin by painting your Toilet Paper Roll White and let dry. 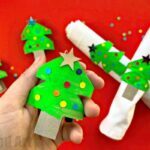 Alternatively you can wrap the toilet paper roll in white paper. Pinch one end and staple shut. 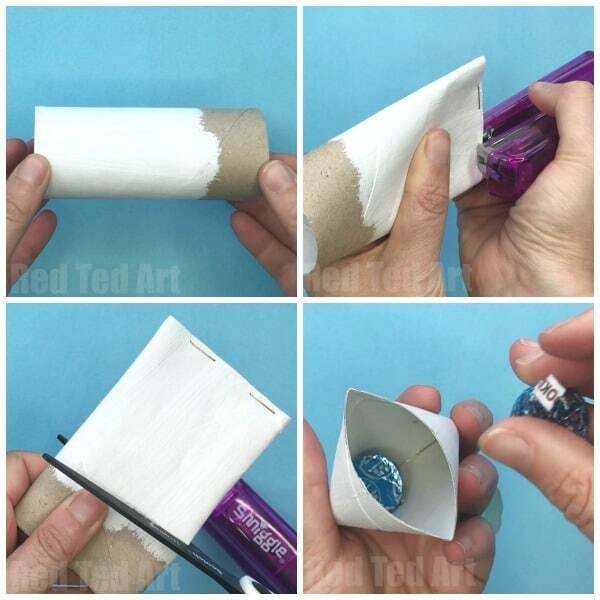 Flatten the Toilet Paper Roll and cut a piece a BIT BIGGER than a square (so a little longer than it is wide). Cut a unicorn horn (I cut two and stuck them together so the horn looks nice from both sides). Insert into the open side of the toilet paper roll. Pinch shut and staple in place. The basic Unicorn Head is complete. Now it is time to decorate it. Using a pink sharpie colour in the unicorn’s muzzle. Add eyes with a black pen, as well as nostrils. 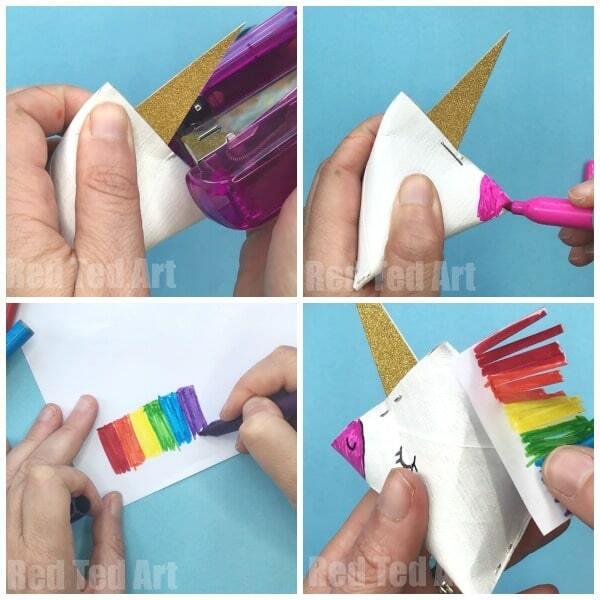 Finally – I coloured a white strip of paper in a rainbow pattern, cut it out. coloured the other side (again so it looks nice from both sides) and glued it onto the back of the unicorn as a rainbow mane. 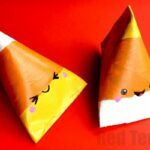 Your DIY Toilet Paper Roll Unicorn Gift Boxes are finished! How fun are they?! Enjoy!!! !